The Women's Dawn Patrol chest zip offers the perfect balance between function and aesthetic appeal. 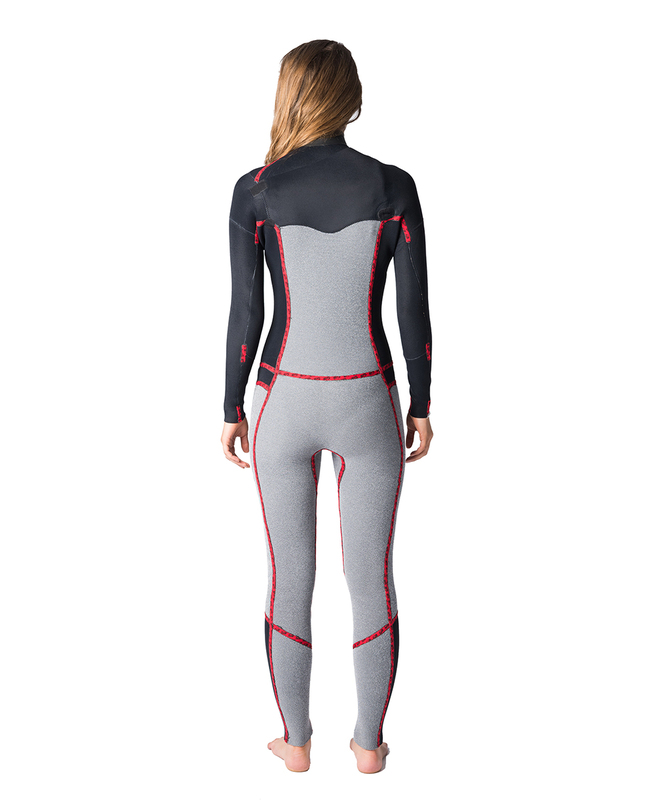 We use a combination of E5 in the arms and Freeflex neoprene in the body. The entire suit is glued and blindstitched for supreme warmth and comfort. Combination of E4 neoprene and Thermo Lining - stretch and warm.